We would like to welcome you back after the Easter break and hope you were able to enjoy the wonderful weather with your families. We are very much looking forward to another busy and exciting term ahead. We will be starting the term off with our whole school topicof ‘Splash’ and we have chosen to focus our learning around the theme of ’pirates’. Each week we will explore a different aspect of life on the High Seas to give the children opportunities to succeed across the EYFS curriculum. Teaching will be linked to good quality texts whenever possible. 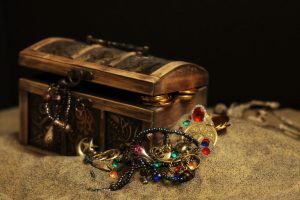 Our topic will begin by having our treasure stolen by the famous pirate Blackbeard. We will use the internet and information books to research this mean pirate and make ‘Wanted’ posters to help with his capture. Mrs. Paget will then train us to be pirates! 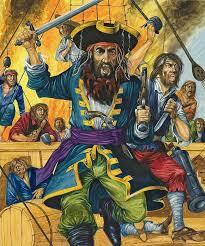 This will include learning the pirate lingo, making ourselves look like pirates and learning to read treasure maps. We will then be ready to reclaim our Booty at Crooklets Beach! 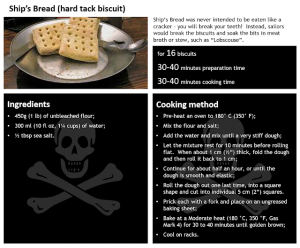 On our return we will continue to learn about pirate ships and what life was like on board, including sampling some grog and hardtack biscuits! We have now completed phase 3 in phonics and will be moving on to phase 4 activities. In this phase the children will not learn any new sounds but will be consolidating their learning and building on their existing phonic knowledge. This will help them learn to read and spell words which contain adjacent consonants such as tree, grow, stop, frog and brick. They will also be introduced to new sets of tricky words. Please ensure you read regularly at home and make use of the guidance and resources in your phonics packs. Don’t forget to also explore the recommended online games and APPS. Keep a look out on our Facebook page for regular updates! In mathswe will be working with numbers up to 20 by counting our gold coins and weighing our treasure! 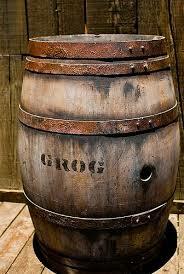 We will also be doubling, halving and sharing our loot with fellow pirates. 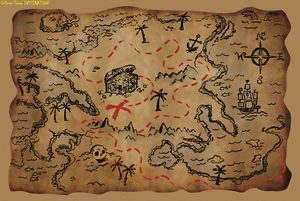 Through our work on treasure maps, we will also be using everyday language to talk about position and distance. Topmarks.co.uk/maths-games/ is a great website for your children to practice lots of different concepts at home and all games are free! Numberblocks from Cbeebies also has an excellent APP called ‘Hide and Seek’ which you can purchase to help with addition, number bonds and other key number skills. You can also download episodes to watch on the BBC iPlayer. 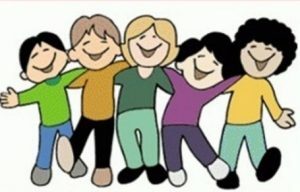 After half term we will also plan a mini topic on ‘Wonderful Me’ where we will be learning about relationships, talking about how to be healthy and exploring our senses. We will also enjoy some Summer time activities. Look out for ideas on how you can support learning at home on our Facebook page and in book bags. If you have any questions or would like to find out more about our work this term, please do make an appointment to come and see us or contact us through your child’s home school diary. Thank you. We would like to welcome you back after the Christmas festivities and wish you all a very happy and healthy New Year! We hope you all enjoyed the break and made some magical memories with your loved ones. 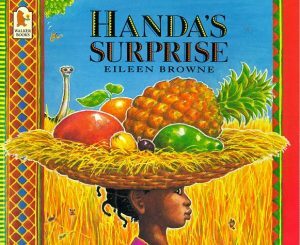 We will be starting the term off with our whole school topic of ‘Amazing Africa’ and we have chosen to focus our learning around the text ‘Handa’s Surprise’. 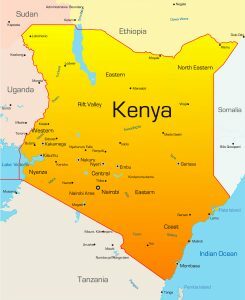 Each week we will explore a different aspect of life in the country of Kenya to give the children opportunities to achieve across our EYFS curriculum. 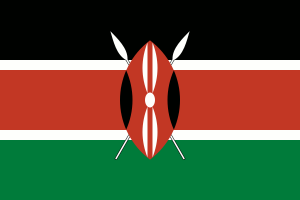 We will begin the topic by having an African dance and drumming workshop in school. This will be an exciting way for the children to explore a culture different to their own. We will then study the text and use the illustrations to learn about Handa’s life. The children will compose some questions they would like to ask her and write these down in a letter or postcard. 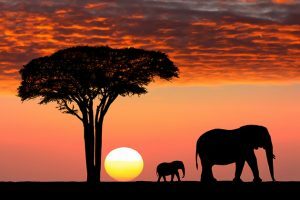 Each week they will receive a reply containing information about Handa’s life in Kenya. We will then follow this information up with a range of fun activities based around food, shelter, clothing, climate and animals. We have now completed phase 2 in phonics and will be moving on to phase 3 sounds and activities. In this phase the children will be learning vowel digraphs and trigraphs where two or three letters together in a word represent one sound (e.g. ai, ee, igh, oa, oo). The children will bring home the sounds they learn each week so that you can add them to your packs and continue to play the games from the workshop. Look out for an additional phase 3 information sheet that will come home in book bags in the next couple of weeks. Don’t forget to explore the recommended online games and APPS if you can and keep looking at those Rainbow words. We will practice them with your child each week and let you know when we feel they are ready for the next set. 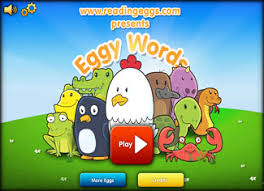 Here’s a fun free App to compliment your high frequency word practice. 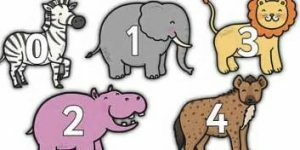 In maths we will go on safari and identify the numbered animals we see around the school. We will then use a range of fruits for our counting and weighing activities. Which will be heaviest? 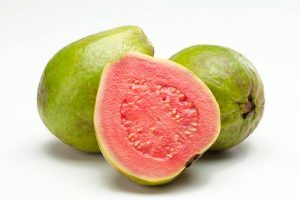 Will it be the sweet-smelling guava or the ripe, juicy mango? 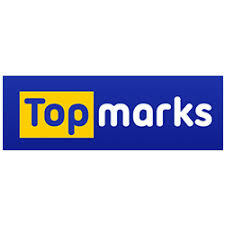 Topmarks.co.uk/maths-games/ is a great website for your children to practise lots of different concepts at home and all games are free! 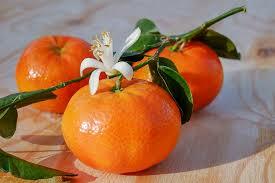 We will also plan some mini topics over the term including Chinese New Year, Springtime and Easter. Look out for activities you can do at home on our Facebook page and in book bags. If you have any questions or would like to find out more about our work this term, please do make an appointment to come and see us or contact us through your child’s home school diary. Myself, Katie Salt and Christine Knight, our support assistant, welcome you back to Clawton Primary School and our Reception Class. We hope you enjoyed the summer break and are ready for a new, exciting term ahead? We will be spending the first few weeks ensuring that the children become independent in their learning with ourselves alongside them so that they feel settled and confident exploring their new environment. All observations and messages will continue to be uploaded to Tapestry and don’t forget that we would love to see all of the wonderful things your children do at home too! After our initial period, our whole school topic this half term is ‘A Step Back in Time’ and we have chosen to focus on the Mesozoic Age of the dinosaurs. Each week we will explore a different aspect to give the children opportunities to achieve across our EYFS curriculum. We will begin the topic by finding a large egg in the school grounds and predicting what will be inside. What animal would lay an egg of this size? We will then explore different ways of looking after our egg to help it hatch. Once our baby dinosaur has hatched we will become Palaeontologists and try to find out as much as possible about it, including where it likes to live and what it likes to eat. 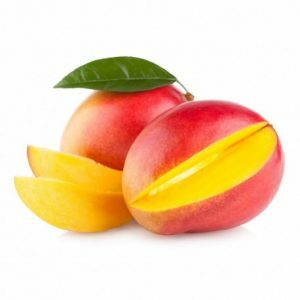 Will we be able to look after our new pet and give it what it needs to survive? In phonics we will be playing lots of games to revise rhyme, alliteration, initial sounds and oral blending and segmenting. When we have settled into the new term we will invite you to a phonics workshop where we will share ideas on how you can support your children’s reading and writing journey at home. This will include a list of links to useful website and Apps and fun games that you can play. 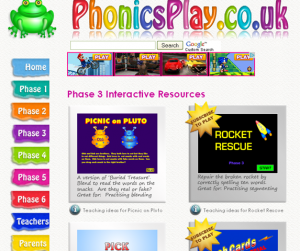 To get you started we recommend Phonicsplay.co.uk which follows the Letters and Sounds that we use to teach phonics in school. To access the full site you will need to pay a small subscription fee but some games are free. ReadwithFonics.com is another highly recommended resource. In maths we will go on a ‘Dinosaur Adventure’ and see if we can identify the different numbered species. We will also be counting them in and out of our dinosaur swamp. How many will we be able to fit in? We will also find out how big dinosaurs can grow and compare the lengths of their bones. Will our classroom be large enough for our pet dinosaur? If you have any questions or would like to find out more about our work this half term, please do make an appointment to come and see us or contact us through your child’s home school diary.